John Elway. Credit: Trevor Ruszkowski, USA TODAY Sports. The Denver Broncos just gained enough salary cap space to sign a big-time free agent. According to the NFL Player’s Association, Denver being $8 million under the salary cap in 2018 was a huge benefit to 2019, where they can now carry over that money into this year. The Broncos are seventh in terms of how much they’re carrying over, with the Browns’ $56.5 million being the most of any team. This is huge news for Denver because, before this, they had anywhere from $36-37 million in cap space going into 2019, which put them in 13th. Now, they’ll have $44-45 million — depending on which site you reference — and that’s before they could end up clearing more cap space, too. Where does Denver need the most help? At right tackle (and possibly right guard), inside linebacker, safety and especially at cornerback. Pro Football Focus called Denver’s need for a new corner — or two — their biggest weakness going into this offseason. Will the Broncos re-sign Bradley Roby? If so, they’ll still need a nickel corner, too. Roby only made $1.7 million in 2018, the one-year extension past his rookie deal, and may demand around twice that per year starting in 2019. Similarly, Bryce Callahan — who could fit well with Denver, Vic Fangio and Ed Donatell — made $1.9 million in 2018, but he’ll likely fetch somewhere in the $7 million range per year. That $8 million carryover could be used on a free agent target like Callahan, which would give Denver at least two dominant corners once again. Matt Paradis on the offensive line will be a key re-signing target, and after making $2.9 million last year, he’ll likely be looking for a solid raise, too. Denver needs to keep Paradis — the best member on the o-line — and the Broncos must be hoping another team doesn’t come in and offer him too huge a deal and steal him away. Then, there’s Domata Peko ($3.75M in 2018) who will likely be asked to take a pay cut if he wants to continue playing, while Shelby Harris ($750K) will be looking for a big-time raise. Outside of paying those key free agents, Denver will have to use the rest of the money wisely to fill those other gaps. C.J. Mosley of the Baltimore Ravens could be a great signing at inside linebacker, but at an estimated $9.7 million next year, he could be too pricey for the Broncos. 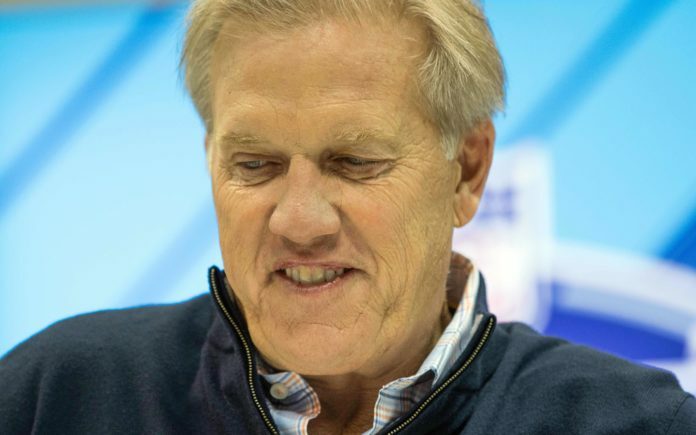 One thing is for certain, though; John Elway and the front office will be wheeling and dealing a lot over the next few months, with free agency beginning on March 13, at 2 p.m. MT. And, it was smart of them to save the extra $8 million from 2018, rolling it over to 2019.